Both of these books will be released on March 8, 2011. But then a car crash ends Ivy’s life. As she floats to the beyond, looking down on the life she’s left behind, Tristan breathes life back into her with a passionate kiss. She wakes up in the hospital, surrounded by Will and her family, but all she can think about is the love that she lost. But memories aren’t all that’s come back from the past. And this time, Ivy’s not sure love will be enough to save her. Humanity, like computers, can be upgraded. And old versions disappear. . . .
At some unspecified point in the future, when technology is as advanced as possible and we are a race of super beings, some old audio tapes are discovered. On the tapes is the story of fourteen-year-old Kyle Straker. Hypnotized, Kyle missed the upgrade of humanity to 1.0. He isn't compatible with our new technology. And through the recording, he narrates what the upgrades really mean. And it's absolutely terrifying. Sci-fi futuristic and technological apocalypse in the style of War of the Worlds, I am Legend and The X-Files. I've seen Evercrossed around blogs a lot! Maybe I should star the series hehe :D Happy reading. These both sound like great finds! Our WOW pick is at BookSake. 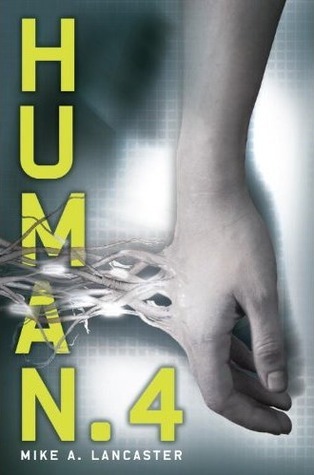 HUMAN.4 sounds great - I'm adding it to my "new finds" list. Actually, I sometimes feel like I missed the last upgrade, too! 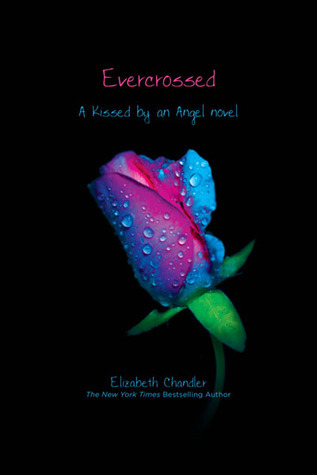 Evercrossed sounds so good might have to add it to my list. Evercrossed is now on my list.